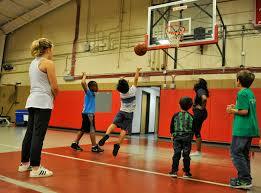 There’re different types of equipment required when running through basketball skills training session as a team. Here is a rundown of what’s required for individuals and the team as a whole. A basketball scorebook keeps track of all the games played, who scored and what the final score was. 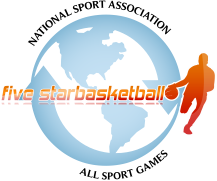 It is a reliable initial historical record which a coach can reference easily during practices to highlight areas for improvement with new basketball drills and intentional practices. The arm sleeves for ballers, especially the main shooter to the hoop, keeps the elbow, forearm and upper arm warmer. This helps to keep them limber, get them comfortable sooner in a game and ready for the strain of rapid and regular movement. It also has been found to avoid elbow and tendon damage from accidental strains. These types of products have a padded, usually hexagonal design on the underside of the elbow area to provide deflective, padded support to players. Different basketballs, including various weights, sizes and compositions, is useful for players to fool around with. It’s not always the same kind of ball that’ll be played with on the court. Also, for rapid drills, it’s easier to perfect certain movements when using a smaller ball at times. On the other hand you also need perfect basketball hoop,different kind of hoops available in the marketing like in-ground,adjustable, mini and portable basketball hoop. you have to select according to your requirement and enjoy your game. Cones are used to line up as a course for ballers to practice dribbling drills. When there aren’t players around to get in their way and move around them, the cones act as the next best thing. They can be rearranged in different setups to create standard scenarios and to run through them. They’re also useful for speed testing players to check their level of fitness and work to improve it through successive speed, running and dribbling drills. The coach and support coaching staff will all need a lanyard with a loud whistle to alert the team to get to attention or to fall in for a group talk. Spandex shorts are tight around the thighs and avoid loose shorts wrapping around the ball or flapping about in an annoying way. The modern technology used in the fabric successfully wicks sweat away making it a more comfortable practice session or game. Mesh bags are useful to place a few basketballs inside and hang them up conveniently between practice session and games. This avoids balls flying everywhere left and right making them hard to manage off the court. A duffle bag for you to carry your own basketball gear is not a bad idea. It’s large enough and flexible enough to fit whatever you need inside including a replacement for any garment that accidentally tears during a practice session, a cooling towel or two, and a complete change of clothes. You can also include shower gel and shampoo for the shower after the practice too. Don’t forget some other tools of the trade like sweatbands for the head (or use a wrist band to strategically wipe sweat away from other parts of the body), a sports bottle to stay hydrated, tape for vulnerable ankles and wrists, jackets to warm up faster on cold mornings, and basketball sneakers made for being a top baller.